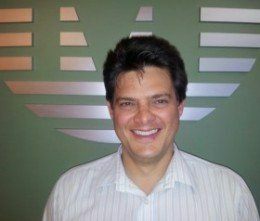 Barend Vorster joined Moncrieff as a Technical Sales Specialist in April 2012 with focus on IBM’s infrastructure stack. Barend is the voice of the customer within Moncrieff translating IT requirements and challenges into concrete solution designs. Barend attained certification as an IBM System Storage Solutions Specialist. He secured the top spot out or 40 candidates at the recent IBM System Storage Top Gun Channel University. Barend’s formal education, a six-year National Higher Diploma in Electronic Engineering, has benefited him through his 20 years career. He has varied experience through the IT industry consulting, architecting, designing, configuring, implementing , selling, and in-house supporting IT solutions and networks. Barend’s industry experience is equally varied to provide a holistic approach to solutions – governmental, geographic information systems, GSM software development, financial, telecom, VAR and distribution sales environments.Barend is an extremely valuable asset to Moncrieff. Over the past 2 years, he has provided Moncrieff’s customers with a reliable seamless service with minimal impact to their daily operations.